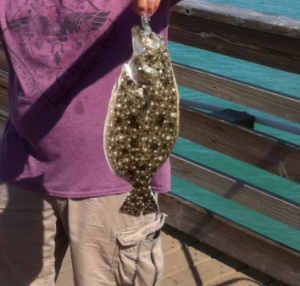 The coastal waters of South Florida are bountiful with a plethora of game fish. Offshore, you will find many exciting sport fish including: amberjack, jack crevalle, king mackerel, black grouper, black sea bass, gag grouper, grey grouper, wahoo, white marlin and also sharks such as the bonnethead shark and bull shark. A fishing charter is always available to get you out to where the action is. Inshore fishing is always a hit and there are many areas to target such as the beach, the passes and inlets, bays, harbors, inter coastal waterways, canals and rivers. While there are many inshore species available such as the redfish (red drum), sea trout, red snapper, and tarpon, it is the snook that most anglers in Florida are after. The common snook is a warm water game fish that inhabits the coastal waters of South Florida. On the west coast, they are found in the waters south of Tampa, throughout Everglades national park to the Florida Keys. 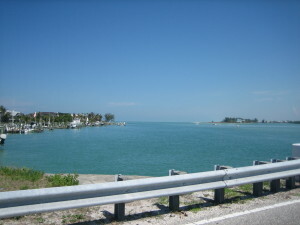 On east central Florida, they are south of Cape Canaveral with a large snook population being in the Sebastian inlet. The snook can be easily identified by their black lateral line running from the gill to tail. The snook’s gill plates are razor sharp and they must be handled with care. They also have a sloping forehead with a protruding lower jaw which are additional features to help to identify the snook. Snook are warm water fish and they prefer water temperatures in the range of 67 to 78 degrees Fahrenheit. Being cold blooded fish, they become sluggish in temperatures below 67 degrees and can actually die if they are exposed to sudden temperatures drops below 58 degrees. The Florida 2010 cold kill affected a large part of the snook population and the FWC closed the snook season for several years in an attempt to protect the existing snook and to help rebuild their numbers. They are a protected species and they have a specific snook season for the harvest of snook. 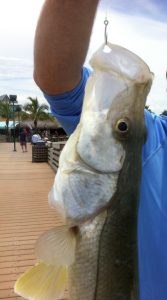 According to the fishing regulations by the FWC, a harvested snook can not be less than 28″. On the Atlantic coast they can not be more than 32″ and on the Gulf coast not more than 33″. Harvested snook can only be kept during the snook season and the Florida angler must also possess a snook stamp in addition to their Florida saltwater fishing license. To be clear, the recreational harvest of snook is only permitted during the snook season outlined by the FWC and the snook must meet the size limit and the Florida angler must have a snook stamp in addition to a Florida Saltwater fishing License. 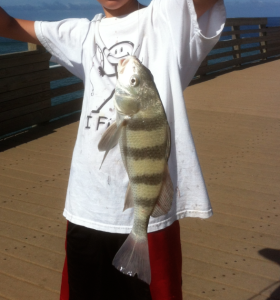 All other times when the snook season is closed, the snook are closed to harvest and it is strictly catch and release. A little known fact is that these fish can tolerate fresh water for extended periods of time, which is why you can find juvenile common snook in brackish water which may feed into fresh water rivers. Another interesting fact is that male snook change from male to female. This change usually happens to mature snook after the springtime spawn. Snook are well known to be ambush hunters. They often will position themselves behind a structure within fast moving tide water waiting for a bait fish to swim by. Live bait is normally your best bet when fishing for snook. 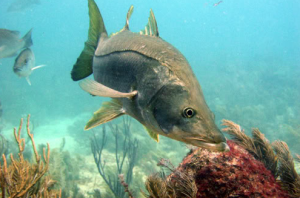 A live sardine, pilchard, or threadfin herring (greenback) will always get a snook’s attention. Live shrimp is also a great bait to target snook and it is easily purchased at your local bait store. Snook fishing is an exciting sport and definitely not for the faint of heart. Hooking up with a large Florida snook, as it jumps above the surface in an attempt to throw the hook, is a moment that you will not forget. Please be advised that catching a snook is not an easy task. They are smart, elusive and can be hard to entice to bite at times. However, catching a trophy snook is a dream for many Florida anglers. It is a possibility with knowledge, persistence and a little luck. In effect, you are setting about, developing the most positive fishing procedure and outcome you can assemble! 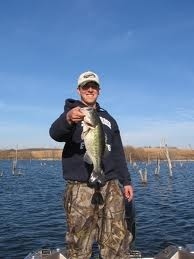 Largemouth bass fishing is an enthusiasm, a science as well as an art. It appeals to young and old, brings in fishermen from all walks of life and both sides of the professional and amateur range. One major trick to bass fishing is, exactly what we can quickly describe as, ‘foreseeable habits’. Practices, patterns, life processes, the natural rhythm that is life and nature which also applies to fish. This suggests that Bass exist within this natural truth. If you can profit from understanding it much better, you will certainly increase your possibilities of successful bites. Other factors like water clearness, time of day, controlled sunshine, water displacement and vibration picking up, sound level of sensitivity, all contribute to this fish’ cunning and ensuring that you scrutinize these hints, will increase your probabilities of landing your next huge bass. Unlocking for instance how The Bass detects and prefers color and shade in the minute, can always also assist anglers increase their efficiency. The selection and kind of lure, colors and activity, bait etc. can all chip in meaningfully to your efforts. Where exactly are the fish? Every person will certainly have a response, or a minimum of their opinion on what, where and when, even science. Nevertheless, occasionally it is as basic as comprehending the habitat and those that reside and thrive in it, to better connect with and delight in fishing in it. A sort of exploring the depths, in a manner of speaking. As an example: the temperature of the water and readily available oxygen, dictate moving patterns and disbursement of fish types. Feeding routines and choices stand out, falling more on the use of live bait. Some estimate smallmouth bass, as showing preference for crawfish and using that as a sign of where these critters will be found, on the hunt for their favorite treat! Looking at stomach material of fish you have captured and kept (not part of the catch and release protocol, hold hidden clues about food of choice such as whitefish, crawfish and others. Having self-confidence, aptitude AND the ideal mindset when fishing for Bass is crucial. In this fight to outwit your challenger, you will require every device and trick at hand to make an effective catch. Never ever get dissuaded, feel beaten or even worse give up for the yield has been slim to none at all– those days occur to every angler. Nature beats to its own drum, you have to discover and take pleasure in the rhythm you are so intricately part of. Remove the tail from your live bait before putting it on the hook if you’re fishing with shad. By getting rid of the tail, the bait will certainly not spin and trigger tangles. An included benefit to cutting the tail off is that it will certainly bring in more fish. When you are fishing, be as peaceful as you can. Fish are not attracted to loud noises. If you continue to be calm and peaceful, keeping your voice in a whispery tone, you are going to be more likely to help fish take your bait and more probable to catch that huge catch. When you are out on a fishing trip, especially in the summer, do not forget to bring water and additional food. 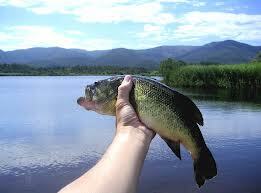 Fishing on a hot day will dehydrate you and you will certainly have to renew calories burned in the excess heat. Snacks or easy to fix dishes are an excellent selection if you are planning on a long day of fishing. Make sure to constantly acquire the proper fishing allows or license for the location you will be fishing. Each state has various licensing demands, and you might pick from a license that is good for a year or for a shorter period. Make certain the fish you catch will certainly be put to good use. It is constantly excellent to bring home a basket filled of fish, but if you’re going to dispose of half of them, you’re being wasteful. There is actually no sense in over-fishing, so make certain that you spread out the love. Give a few of your fish away, or, if you don’t know any person who would take them, merely toss them back. Fish finders will help you discover the very best fishing spots from your boat. A fish finder is an electronic device that uses sonar to find the presence of fish. Yet some fisherman like to keep it old-fashioned and not utilize this kind of aid. To them the fish finder is an advantage that ought to not be used in the sport of fishing. Do not run scared if you recognize you have a big one hooked. Big fish can argue; do not reel them in right away or you risk your rod breaking. First you need to set the drag, then patiently await fatigue to set in on the fish, after that you gradually reel the fish in. Exercising different casting designs will certainly assist you get your bait where you want it without triggering a disruption. You will certainly wish to have as little sound as possible, otherwise, you run the risk of scaring the fish away. Utilize your wrist in order to cast the rod so that you can be as peaceful as possible. Be sure that you are not cluttering the ground with trash when you fish. When there is a lot of garbage and particles in the water, fish will certainly not be attracted to that certain location. Filthy water will certainly damage your opportunities of successfully capturing fish, and other fishermen’s opportunities too. Study the types that are known to stay in the waters you fish in. Pick baits based on the kinds of fish you are trying to catch. It does not matter if you previously owned the right bait or proper method, when the fish are not around, you can not catch them. See to it you pay extremely very close attention to your surroundings. You wish to do this since you want to be at one with nature as you fish. 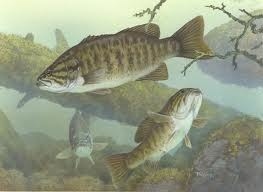 Take a minute to observe the surrounding location for noises, and see if any are loud enough to frighten fish. Thoroughly view the water surface area for signs of disruptions that might be caused by the fish. Likewise look out for any birds that plunge into the water, as that is another sign fish may be nearby. Pay attention to the times of day when fish are generally more active. 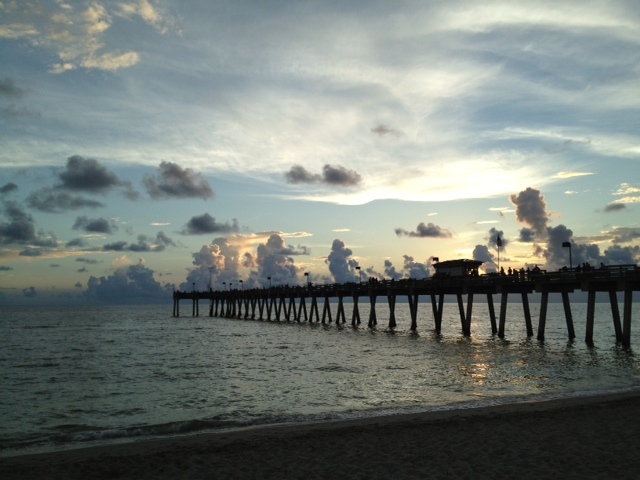 A lot of seasoned fishermen know that fish are most active in the early morning and late evening. Different fish types survive various schedules, so the common knowledge has to be taken with a grain of salt. Therefore, you ought to understand what each kind of fish you target resembles. The only thing people delight in more than fishing all the time is cooking the fish in the evening. Ideally, this article has actually offered you a lot of something to chew on when it pertains to improving at fishing. Be sure to save this guidance in a safe place so that you can refer to it prior to your next fishing trip. Check out our fishing website for more fishing tips.